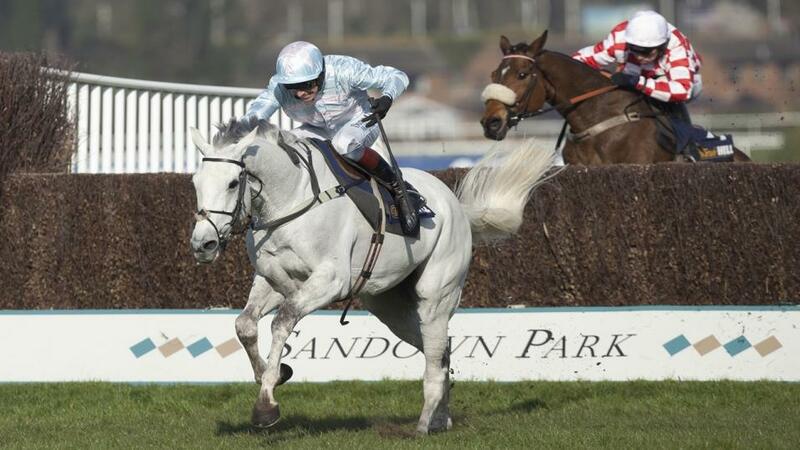 Antepost Betting Preview - Tolworth Hurdle, Sandown and Laurina in the Listed race. "Colin Tizzard won this 3m Festival novice last year with Kilbricken Storm and he clearly thinks he has another player on his hands here, calling him a "proper horse" after that victory last time, though make of that comment what you will." As you would expect after a busy Christmas schedule, this weekend's racing is traditionally one of the more low-key in the racing calendar. Actually, that is probably more than a little unfair, as the Grade 1 Tolworth is the centre-piece of Sandown's card and the recent roll-call of winners include Yorkhill and Summerville Boy, to name just two. And this year it has attracted a very healthy 16 entries at the five-day stage, with Nicky Henderson - who has an embarrassment of riches in the novice hurdle division this season - responsible for four of those. You are initially drawn to Rathhill and Birchdale of that quartet, but then you clock Epatante in here too, and boy was this girl impressive when winning at Kempton in November. All of those three are owned by JP McManus, so I imagine we won't know definite running plans until Thursday morning, so it is hard to get involved in the race at this stage. Indeed, I haven't seen the race priced up anywhere, as yet. The Betfair Sportsbook have priced up most of the Sandown card, so crack on if you fancy anything, but all eyes will be on the mares' Listed hurdle declarations just after 10am on Friday morning, and not necessarily for betting reasons. In fact, it'll be a touch surprising if any bookmaker prices the race up at all ante-post. Laurina and Benie Des Dieux were pulled out of Cheltenham's New Year Day meeting at the overnight stage but they have appeared among the eight entries for the mares' 2m3f173yd hurdle, and here is hoping that at least one of the pair rock up. I'm sure everyone will be anxiously looking at the dry forecast all week, but it is currently soft at Sandown and hopefully there will still be enough dig in the ground for them come Saturday afternoon. Whichever one of the mares turn up will be heavy odds-on - I am presuming both won't travel - as it isn't a great race. But Laurina is currently [7.8] second favourite for the Champion Hurdle, and we want to see her strut her stuff for the first time this season. Benie Des Dieux is only 1lb inferior to her stablemate on official figures, and this dual Grade 1 winner would be a very able substitute. Quite clearly, it's a watching brief only for now, though. Some Cheltenham Festival podcasts started in October, and the weekly written columns appeared soon after, but I have pretty much ignored Festival betting. So let's kick off the Cheltenham "portfolio" - a bit of a horrible, white-collar word, but it does the trick - by backing Rockpoint at 16/1 win-only with the Betfair Sportsbook for the Albert Bartlett, or [18.0] or bigger on the exchange. If you shop around, it is basically 16/1 the field for this 3m race (though Champ is shorter with the very few who are quoting the Newbury winner), and that obviously reflects not just how open the race is, but also the alternatives plenty of those quoted have. You would like to know which of the 2m/2m4f Henderson novice hurdle massive will be stepped up in trip for the Festival - though they suffered a rare reverse with I Can't Explain at Cheltenham on New Year's Day - but we pretty much know that Rockpoint is a definite runner, fitness and well-being permitted. And I think he has pretty strong claims, as it stands. I tipped him up at [18.0] in this column to make light of a mark of 118 in a Newbury handicap in November and I wasn't particularly enamoured by the ride he got in going down by a fast-diminishing ½ length there. At least that turned out to be a decent handicap, and we got our money back, and then some, when he progressed again to win a Grade 2 over 3m at Cheltenham last time. Okay, it wasn't the strongest race of its type but he did it really well, and it confirmed he was a three-miler through and through, as you would expect of a half-brother to Santini, third in the Albert Bartlett last season. Colin Tizzard won this 3m Festival novice last year with Kilbricken Storm and he clearly thinks he has another player on his hands here, calling him a "proper horse" after that victory last time, though make of that comment what you will. You need a battle-hardened and experienced horse to win the Albert Bartlett and, with 10 hurdle runs under his belt, Rockpoint fits the bill. And, allied to that, he is unexposed over three miles, which gives him an even more attractive profile. Tizzard says he plans to give him another couple of starts before March, and hopefully he will cement his Festival claims in those. At 16/1, he makes plenty of appeal.